It once again makes sense to bet against the Cboe Volatility Index (VIX), which is commonly known as the stock market's fear gauge, says equity derivatives strategist Shawn Quigg. At least for now. He says traders haven't reacted very strongly to a weak round of corporate earnings. And since there aren't many major reports left, there's reason to think price swings will stay muted at least for another week or so. Quigg says that's likely to preserve the newfound success being enjoyed by the short-volatility trade. "If it were not for selloff in December, given the weight of this earnings cycle for the broader direction of the market, we most likely would have witnessed more volatility around earnings," Quigg told Business Insider. It's the opposite of what Quigg had expected, as he'd previously forecast longer-term increases in volatility. 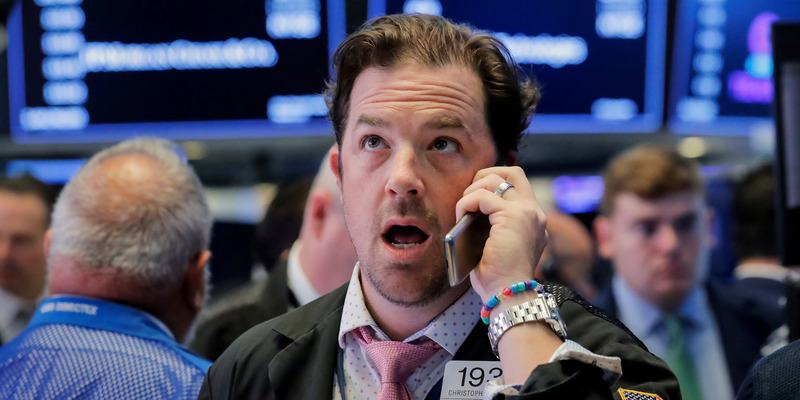 But now he thinks the market may have gotten those fluctuations out of its system, because the late 2018 sell-off knocked stock prices down and also lowered analyst expectations. The development is sure to remind traders of the subdued environment of 2017, when investors grew particularly infatuated with betting against stock market volatility. That year was one of the calmest in the history of the S&P 500 as the US economy gained steam and traders felt the Trump administration's loosened regulations and lower corporate taxes would boost profits. While Quigg's forecast is a short-term one, he added that the Federal Reserve's recently announced "patience" on interest rates and a possible resolution to the US-China trade dispute would also put downward pressure on volatility.